CIRCA 2018 - U.S. President Donald Trump remarks about Turkey, Craig Brunson, Tayyip Erdogan and unfriendly relations. hd00:21CIRCA 2018 - U.S. President Donald Trump says that Paul Manafort is a very good person who worked for him for a short period of time. hd00:40CIRCA 2018 - U.S. President Donald Trump calls the Russia investigation by Robert Mueller and the FBI a rigged witchhunt. 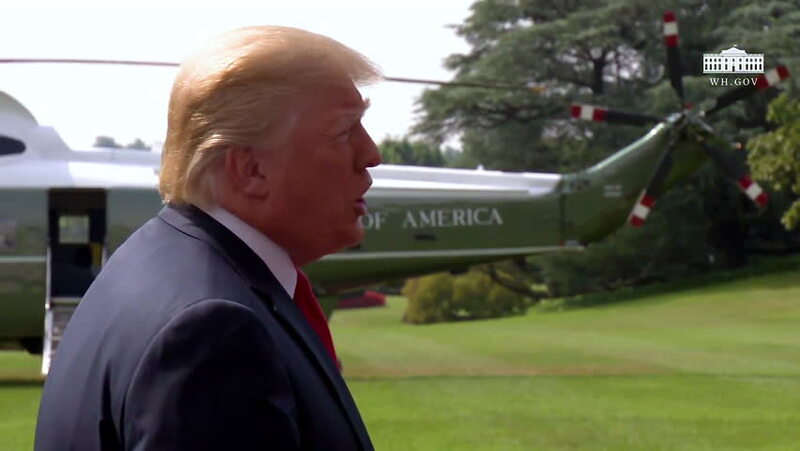 hd00:38CIRCA 2018 - U.S. President Donald Trump speaks to reporters in press corps and defends Saudi Arabia saying he spoke to the King.